January 2014 - Read. Think. Act. (January 2014) Cameron’s Coffee & Chocolates opened on October 1, 2013 in Fairfax, VA. This is the first business enterprise of the non-profit Every 1 Can Work founded by Jim and Ellen Graham of McLean, VA. The goal of Every 1 Can Work is to create jobs for intellectually disabled young people like their daughter Cameron. They discovered after Cameron and several of her friends completed the Culinary Arts Program through Fairfax County’s Davis Center that there were no jobs for them at traditional businesses. So Jim & Ellen researched what business models were likely matches for the skills and interests of their daughter and came up with a coffee shop where chocolates are handcrafted on site. The community has embraced this non-profit coffee shop and the menu continues to grow. The Cameron’s Coffee & Chocolates Facebook Page updates a loyal following of fans on the success of this small non-profit business. It turns out a great many people like doing good while enjoying the best coffee and chocolates in town! 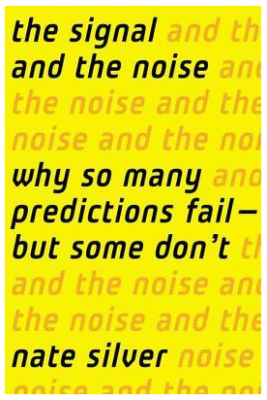 (Jan. 12, 2014) Subtitled: “Why So Many Predictions Fail – But Some Don’t” Written by Nate Silver of the FiveThirtyEight Blog. 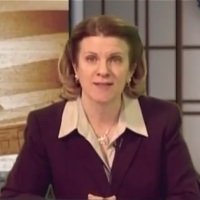 Silver and his blog achieved a great deal of notoriety during Obama’s 2012 presidential campaign as he predicted – with stunning accuracy – how Obama would win. He is a “stat head” and his grasp of predictive modeling is astonishing. The concepts presented here are so interesting. It makes so much sense . . . once you wrap your mind around what he is saying. He illustrates his points with chapters that apply his theories to examples in everything from politics and poker to baseball and climate change. Some chapters were quite interesting to me and others were just tedious to get through – mainly the ones related to predicting the weather. I will admit that I found it difficult to stay engaged with the book and therefore kept leaving it for long periods of time before starting back up again. It took me months to get through this book. I’m the farthest thing from a “stat head” imaginable, but I think it’s critical to separate out “noise” from meaning in a time where big data makes us believe we are more accurately predictive. We are not. We have lots of data and weak models of analysis. In a nutshell, that’s what this book is all about. I think Nate Silver has done a good job in putting complex concepts into laymen’s terms, it was just too long and too much information for me personally.